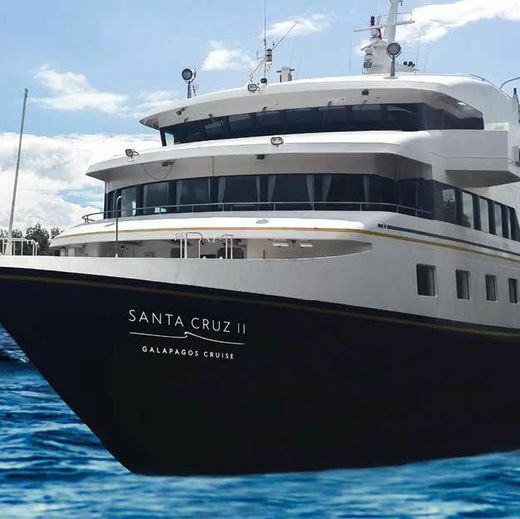 The intimacy and personal service of a small cruise ship experience are the hallmarks of travel aboard the newly refitted, first‑class expedition vessel, Santa Cruz II. It is designed specifically to navigate remote archipelago’s narrow channels, shallow bays and environmentally sensitive waters and provides the most comprehensive access possible to the region’s marine and wildlife treasures. 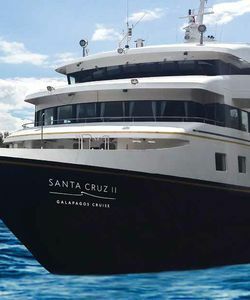 Refurbished in 2015, the air‑conditioned Santa Cruz II features only 48 cabins and offers modern amenities and facilities. A team of multilingual onboard Ecuadorian expert naturalists will share their in-depth insight and knowledge about the Galápagos’ distinctive ecosystem during daily excursions and natural history lectures. The ship provides Zodiacs for island landings and excursions, complimentary snorkeling equipment and a nighttime stargazing program. The Santa Cruz II’s staff provides professional, attentive service. 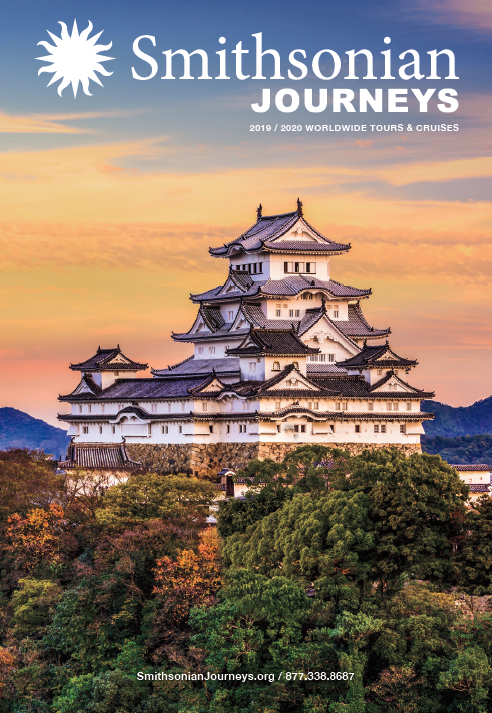 The ship maintains the highest international safety and environmental standards. Each outside, air-conditioned cabin is tastefully appointed with a window, private bathroom, safety box and hair dryer. The ship’s public facilities include two lounges, natural history library and reading room with Internet access, bar, boutique, observation deck for dolphin watching, jacuzzi and gym. 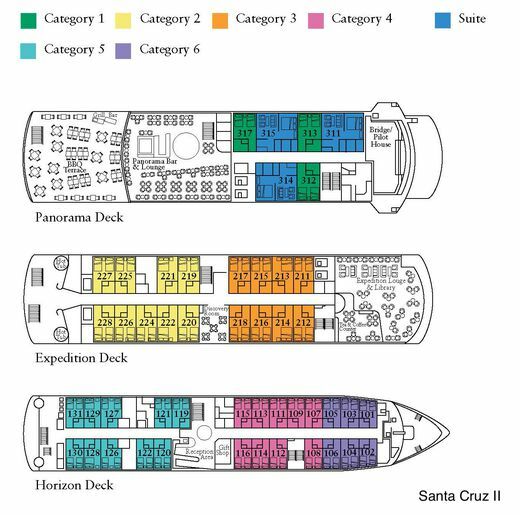 All meals, featuring international and Ecuadorian specialties, are served in single seatings in the ship’s inviting dining room.